Congress President Rahul Gandhi on Thursday spoke to Prime Minister Narendra Modi and urged him to increase deployment of Army and Navy in flood-hit Kerala. 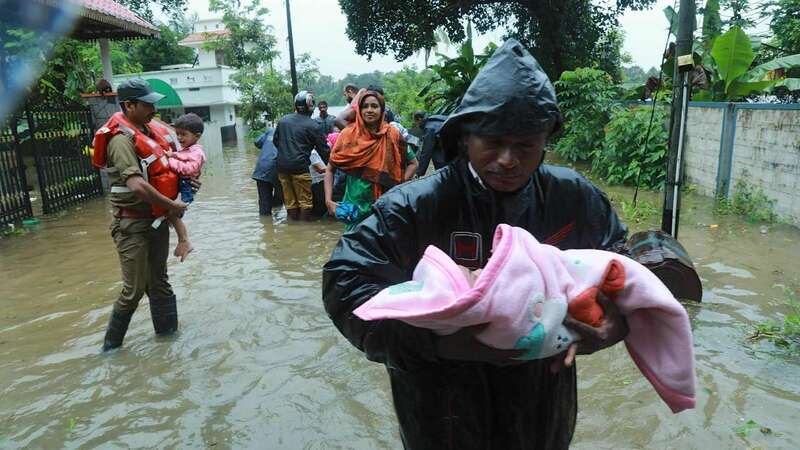 Rains in the state have claimed at least 67 lives and a red alert has been sounded in 12 of the 14 districts. “Kerala is in great pain. I spoke to PM and requested him to massively increase deployment of the Army & Navy,” said Rahul Gandhi in a tweet. The Congress chief also said that it is critical that he gives the state special financial assistance as this is a tragedy without parallel in Kerala’s history. Expressing concern over the flood situation in Kerala, Rahul Gandhi also took to Twitter to make a fervent appeal to people for help by contributing to the chief minister’s relief fund. Kochi Metro suspended operations this morning after flood waters entered the Muttom yard near Aluva and train services have been affected in various parts of the state with cancellation of many passenger trains and partial cancellation of some long distance train. Prime Minster Narendra Modi today asked the Defence Ministry to further step up relief and rescue operations across Kerala which is facing a severe flood situation. He also spoke with Kerala Chief Minister Pinarayi Vijayan again this morning. “We discussed the flood situation in the state. Have asked the Defence Ministry to further step up the rescue and relief operations across the state. Praying for the safety and well-being of the people of Kerala,” the PM tweeted.